Incredibly well written novel providing insights that feel 100% genuine. What happens to families grieving the loss of loved ones, manipulated by external forces, and torn apart by circumstances often beyond their control? 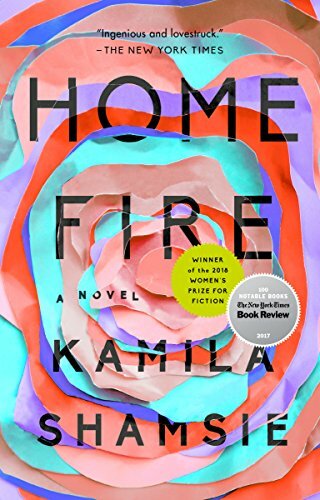 Home Fire explores all of this which has the reader feeling empathy even for the “enemy.” The brainwashing (and that is not nearly a strong enough word for what happens to Parvaiz) is heart rending as is Aneeka’s grief. This story will haunt you and have you asking “why? how? but?” as you watch the news which you will no longer take at face value. Powerful stuff.